Marsh, James H.. "Sir Thomas Button". The Canadian Encyclopedia, 28 October 2014, Historica Canada. https://www.thecanadianencyclopedia.ca/en/article/sir-thomas-button. Accessed 20 April 2019. Sir Thomas Button, seaman, explorer (b in Wales; d probably at Worleton, Eng 1634). In 1612 he was chosen to command an expedition to determine the fate of Henry HUDSON, though no mention of this was made in his written instructions, which directed him to search out the NORTHWEST PASSAGE. Sir Thomas Button, seaman, explorer (b in Wales; d probably at Worleton, Eng 1634). In 1612 he was chosen to command an expedition to determine the fate of Henry HUDSON, though no mention of this was made in his written instructions, which directed him to search out the NORTHWEST PASSAGE. 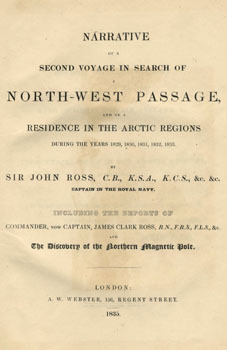 With the Resolution and DISCOVERY he sailed through Hudson Strait and across Hudson Bay to a point he called "Hopes Checkt." He wintered at the mouth of a river he named for Robert Nelson, master of the Resolution, who among others had perished there. In the spring he examined the west coast of the bay and discovered Mansel Island, which he named for a friend. Frustrated in his hope of finding an outlet from the bay, he sailed home. For years Hudson Bay was called Button Bay. Button served ably and with courage throughout his career and was made "Admiral upon the Irish Coast."